Billie Jean Foster Jones was born August 10, 1930 to the late Maude Foster and Jesse Hicks in Brooklyn, NY. Billie was raised by her beloved grandparents the late Rev. Thomas Jarvis Foster and Mrs. Lizzie B. Foster- Askew of Zebulon, NC. Billie was baptized at an early age at Wakefield Baptist Church in Zebulon, NC and was raised in a family with strong Christian faith. She graduated from James E. Shepard High School and went on to graduate from Shaw University in 1953 with a degree in English and History. Billie loved Shaw University. She continued her education at New Mexico State University in Albuquerque, NM. Billie married her college sweetheart the late Robert B. Jones, Sr., with whom she traveled the world and had many adventures. She started her early career as a teacher at Upper Hayford Air Force Base in Stratford -on-Avon, England (U.K) an extension of the University of Maryland Oversees Program. Upon her return to the United States Billie taught in Bladen and Halifax County schools and was the first African-American teacher to integrate Wake County Public Schools in 1967. She was one of the first African American members of the North Carolina affiliate of the National Education Association (NEA) in 1967. Billie left the teaching profession and joined the North Carolina Department of Corrections as a Probation and Parole Officer in 1969 and became the first African American female to serve as a unit supervisor in 1976. She retired from the Department in 1991. Billie was devoted to her family, church and community. She raised her children in a Christian home and opened her home to several foster children. She was a devoted member of White Rock Baptist Church where she served as a trustee for six years. Billie loved life and lived it fully. She loved to travel with her friends and family, she was vivacious and glamorous to the end. She loved her children and her step-children. She was an adoring grandmother who took great pride in each of her grandchildren. 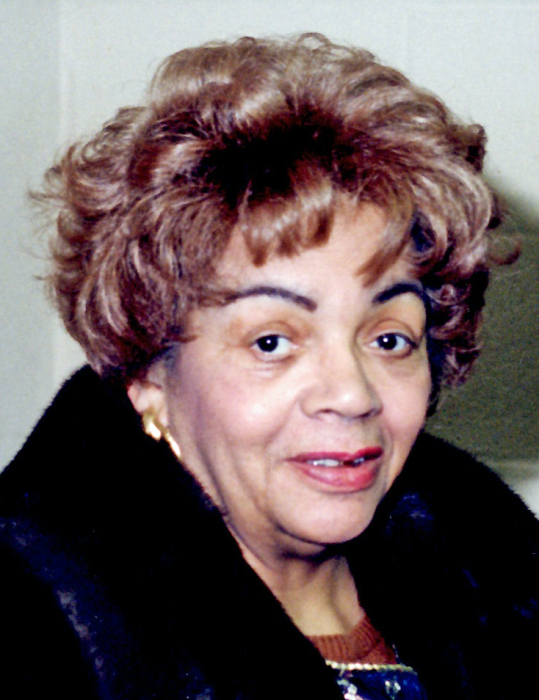 Billie Jean Jones was a phenomenal woman. Billie was an active member of the Triangle Military Wives Club, Continental Societies, Inc. and a Red Hatter. She was an Eastern Star and an A.K.A. She belonged to several bridge and pinochle clubs. She loved her club members dearly. Robert B. Jones, Sr. preceded her in death. She leaves to mourn her daughter Stella Jones Adams (T.C. ), son, Robert B. Jones, Jr. (Geri) and daughter Ramonia VanDella Jones; grandchildren Thomas, Danielle, William, Darian, Bobbie, Simona, Billie Jean and Robin. Mrs. Jones was briefly married to Hugh B. Rogers before his untimely death. His children will truly miss her and she loved them dearly. Daughters Elder Sheila Rogers Quick (George) and Hughette Rogers Toliver (Les); grandchildren, Shaunita, Lillie, Rachel, Michael and Alexis; great grandchildren LaShae, McKayla, Zion and Belle. She is also mourned by her brother Jamil Abdul-Wadud, brother-in-law John H. Jones, sister-in-law Lillie Jones, and a host of nieces, nephews, relatives and friends.